Sewer Smell In The House? The Time To Hire A Plumber May Be Now! 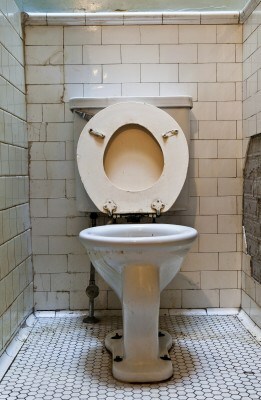 » Sewer Smell In The House? When To Hire A Plumber May Be Now! Plumbing professionals provide a vital service in every community. Unfortunately, just about every homeowner and business owner will need the service of a plumber at some point in their life. The plumbing system really is an extensive network that’s fragile and complex, and events can happen leading to a problem like a stubborn clog or worse. There are small problems that most people can resolve on their own, including unclogging a drain, installing a sink faucet, or maybe even replacing a leaky outdoor valve. But there are more extensive issues associated with plumbing that can require a licensed plumber. A sewer smell in the house is almost always a situation that requires a pro. If you are adding a room to the home such as a laundry room, kitchen, or bathroom that will require the installation of plumbing, hire a plumber for the job. Plumbers have the knowledge, equipment, and tools to successfully install plumbing so that it is compatible (and compliant) with the rest of your home. A plumber will complete the project efficiently and ensures that you won’t have a flood later on down the road. It can be an overwhelming to come home and find a flood in the basement. Causes of flooding can include a burst pipe or drain line back up. You should immediately turn off the main water valve and call a plumber. A plumber will identify the problem and make the appropriate repair. You can pump water out yourself and save a few bucks. If you suddenly get a sewer smell you hadn’t noticed before, you may have a damaged aerator, sewer back up, or some damage has occurred somewhere in the sewer system. This can be a serious problem which will require the services of a licensed plumber. Occasionally, P-traps dry up (if you never or rarely use a particular sink, and the water evaporates for example) you can get odors. This is highly unlikely, though. Faulty venting of gases (and odors) is usually the cause. If you are familiar with those pipes sticking out of your roof, some of those are gas ventilation pipes. It can happen, either through a shift in the foundation or simple age, that one of those pipes can either rust through or break. A very small hole, like the size of a nail head can release awful odors. In the photos on this page you can see how a ventilation pipe can go very bad. I’ve posted some pictures of a house that had an annoying sewer smell. There was a broken vent pipe behind the wall in a hall bathroom. In this house, we used smoke bombs to locate where the broken cast iron pipes were. Finding a hole in your ventilation system using smoke bombs is an art form and should be handled by a pro. If you determine the breach is behind one wall, and you’re wrong, you’ll end up with an unnecessary repair. In this house, we found the broken pipe on our very first entry into the wall. The source of the sewer smell came from under the sink, inside the cabinet. This pipe had somehow sheared itself over the length of about 4 feet. The whole pipe was replaced using pvc, the modern standard for ventilation piping. It could just as well come from a faulty sump pump. Clicking on a photo will enlarge it if you want a close up of what we found! Is The Smell A Health Hazard? Well, it depends. If you are unsure what the smell is, exactly, then you should probably call someone right away and get a professional opinion. If the problem is from the sewer and you’re sure that’s the source, then it may not be an actual hazard, but really annoying. Either way, I’d get it fixed. The point is, it could be. A persistent smell should be traced and fixed. If you have a problem with a natural gas line or the smell happens suddenly, you should consider this situation a hazard and leave the building. Plumbers are experienced in tracing problems with gas lines quickly and if the smell is sudden you should immediately call a plumber for an emergency service call. The plumbing system is an extensive network of pipes, devices, and components. You should call a plumber if you encounter situations such as broken or burst pipes, clogs that won’t clear, a leaking pipe that will need replacement, problems with the water heater, water pump problems, main water valve problems, water dripping from the ceiling or in the walls, low water pressure and similar situations. A qualified plumber can identify problems with job specific devices and components and make the appropriate repair. Just about everyone who has a plumbing system will need a plumber for repair and servicing, and plumbers are experts in the entire plumbing system and know how to identify and repair a wide range of problems. Plumbers also offer advice on maintaining a plumbing system if you’ll just talk to them. The whole point is, if you smell something bad, or you have a problem you are not completely sure of how to handle, you should call a plumber. It may likely cost you more if you don’t.